Are you already an elite member of a frequent flyer programme? Well, there could be an easy way to gain status with another airline without having to rack up heavy mileage and accumulate points from scratch. 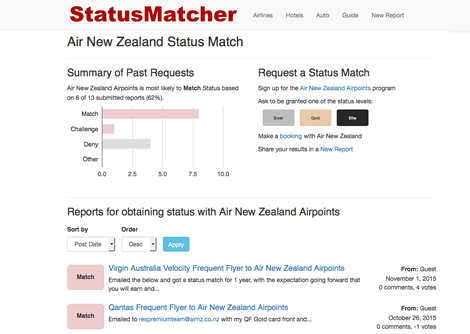 Status matching is one of the best-kept secrets in the frequent flying world. Essentially, it refers to the process whereby an airline you don’t have any status with grants you the equivalent status of one that you already have. There is no one-size-fits-all formula for this, however. Some carriers are more likely to status match than others and there are sometimes a few hoops to jump through. A great website for learning more is StatusMatcher, which shares the results of how others have got on with various airlines, and offers a breakdown of airlines that are most likely to match your status. As a general rule, Air New Zealand, Cathay Pacific and China Airlines are pretty generous with status matching, and provde easy access to get elite status with Star Alliance, Oneworld and Skyteam respectively. 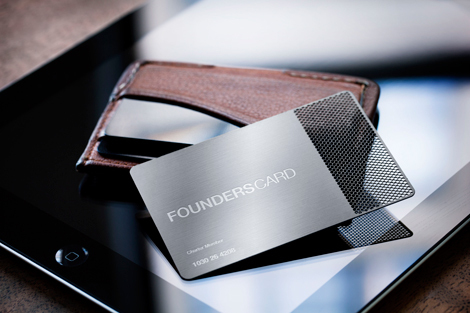 Arranging a Founders Card membership is another great way of getting not only frequent flyer status, but elite tier access in hotel group loyalty programmes as well. The membership fee isn’t cheap – listed as US$795 per year, plus a one-time US$95 initiation fee. However, clued-in bargain hunters know there are plenty of discount codes available. Our best find was the promotional code FCPOINTSVIP, which reduces the annual fee to US$395 and waives the initiation fee. So what do you get for US$395? Well, the 2016 member benefits include a Marco Polo Club Silver tier status with Cathay Pacific (the airline will implement a revenue-based frequent flyer programme system from April); Hilton H Honours Gold membership; and a fast track to Flying Club Silver status with Virgin Atlantic (upon completing one flight). Now that’s value for US$395! The paid-subscription social network A Small World (ASW) is not only a great way of meeting like-minded travellers, but it also grants members a host of attractive privileges, including complimentary frequent flyer and hotel status. Attaining membership can be done either by getting an exisiting member to invite you, or by applying directly via the ASW website and waiting for approval from the network’s governing board. Once approved, an annual fee of US$105 will be charged, and then the perks will start rolling in. This year, members can enjoy a free upgrade to Silver status on Etihad Guest, iPrefer Gold membership with Preferred Hotels & Resorts, membership of The Leaders Club at The Leading Hotels of the World, GHA Discovery Platinum status with Global Hotel Alliance, exclusive discounts on hotel stays, plus VIP status at many luxury retail brands. This may seem obvious, but all frequent flyer programmes are different. Some are generous, while others make you work hard to ascend through the ranks. 1. Airline alliance: If your overall aim is to fast track through a particular airline alliance, it might be worth choosing a programme that provides the easiest path to elite status. For instance, Asiana Club by Asiana Airlines (Star Alliance) is a great option for casual travellers as it has very reasonable requirements for achieving Diamond (Star Alliance Gold) status. Customers only have to accumulate 40,000 miles over a period of 24 months – that’s a manageable 20,000 points per year. 2. Fare classes: Most carriers offer different accrual rates for different fare classes. If you tend to travel on a budget, aim for a frequent flyer programme that will still enable you to earn 100 per cent of your mileage even on discounted tickets. For example, customers based in the US who fly often with United should consider fellow Star Alliance member Singapore Airlines’ Krisflyer programme. Not only is it not revenue based, but it also grants 100 per cent points for most discounted United fares. Good deals may be few and far between, but they do exist. Just last month members of Etihad Guest, the frequent flyer programme of Etihad Airways, were able to enjoy major bonus tier miles on flight bookings in a one-week period (see here). 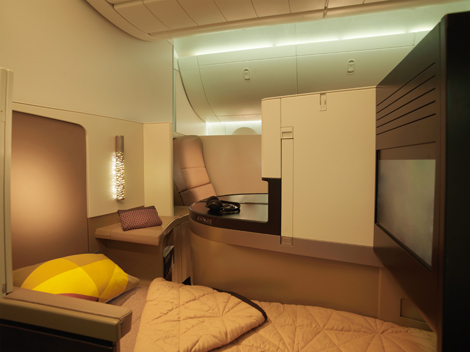 Customers in economy were able to earn double Etihad Guest tier miles, while those in business and first received triple the standard rates. The most important thing about the promotion was that the bonus points also contributed to each member’s individual tier within the airline’s frequent flyer programme. Missed out on that one? Stay in the loop by checking the Business Traveller Asia-Pacific website for regular promotion news, or subscribing to our magazine for a recap of current offers.